Can you believe it? –Fall is here, our summer programs ended with a bang, and now our fall programs are in full swing! Check out our Art Box Campaign on Gofundme to help us distribute Art Boxes to youth in our art classes, and to support our programs, which help provide inner city youth with the tools to be creative and learn. ASI New Office Location & Participation in P.O.S.T. We are excited to announce that ASI has officially moved into a new office space, Studio 502, at the Bok Building, 1901 S 9th St, Philadelphia, PA 19148. We will be participating in the annual Philadelphia Open Studio Tours this weekend, October 22-23, 12-6pm. We are on the fifth floor. 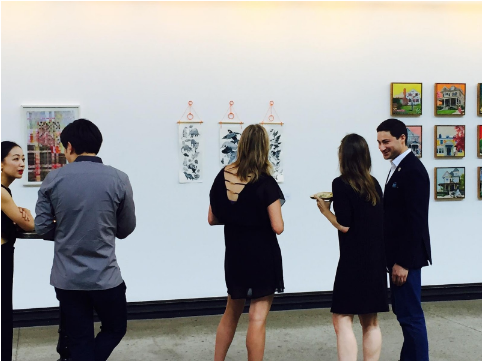 Stop by for a chance to take home artwork, learn about our programs, and show your support! From June 21 through July 21, Urban Outfitters Inc.’s Corporate Art Gallery – Gallery 543 – featured “A Print Story” in support of Art Sphere Inc.’s children’s programs. One-hundred percent of the art sales were donated to Art Sphere Inc.’s free art workshops for children in disadvantaged communities. The company collaboration was led by Anthropologie designer and Art Sphere Inc. volunteer, Katrina Stokes, who brought design colleagues from Urban Outfitters, Inc. on board to raise funds and awareness for K-12 art education in Philadelphia. 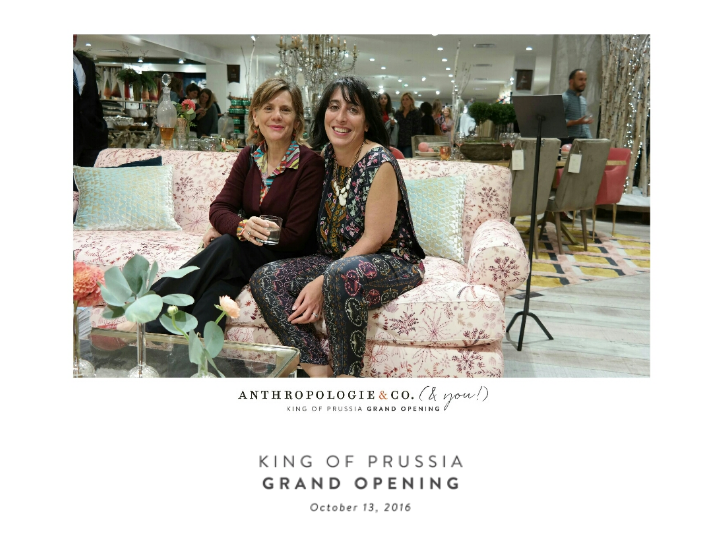 On October 13, Anthropologie & Co. donated 10% of sales to Art Sphere Inc. during the opening of their new store at the King of Prussia Mall! We are also grateful for the long-time support we have had from Banana Republic and Gap volunteers. Banana Republic and Gap employees have been very supportive of our work by helping students in our preschool and elementary-age classes to make art, paint murals, and assemble Art Boxes filled with school art materials for students. 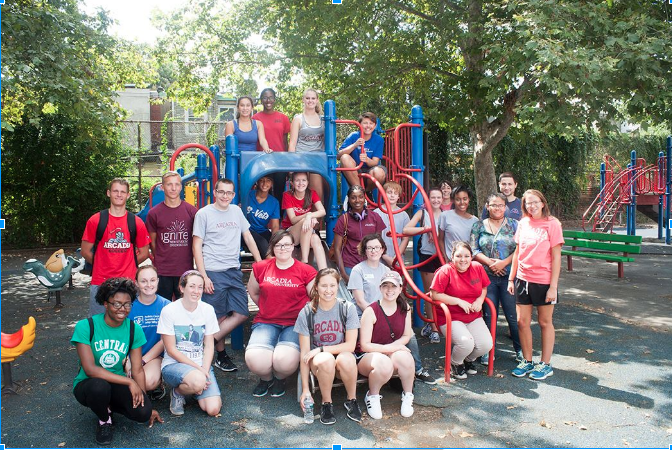 Our thanks to the twenty college student volunteers from Arcadia University who came to work with us for their Annual Orientation Day of Service on August 29. We spent the morning painting murals and outdoor equipment (particularly benches), as well as sweeping, raking and picking up trash. We hope you are all having a wonderful fall semester! 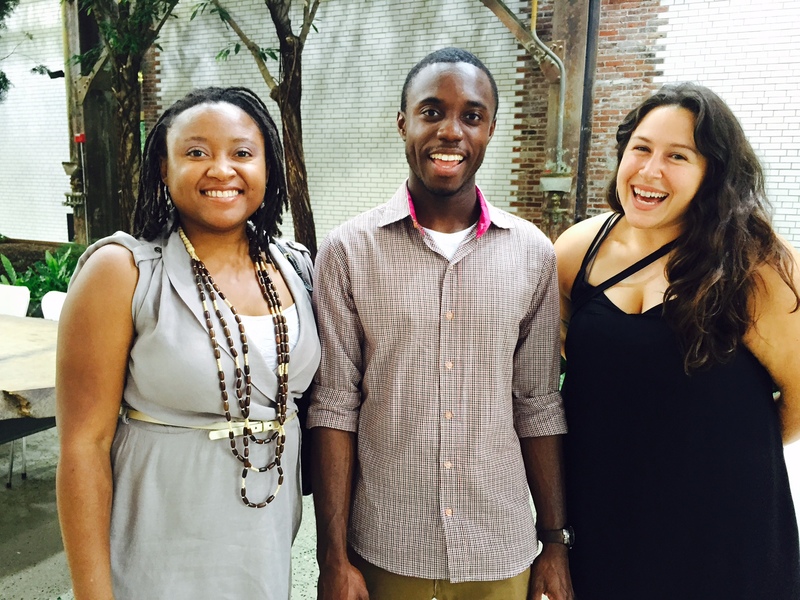 Best of luck with your studies, and we invite you to volunteer with us again in the future! ASI participated in the United Way Cause Village at Made in America On Saturday and Sunday, September 3rd and 4th to promote awareness of the importance of free art classes in communities that need them the most. We worked to engage audiences through social media and to promote our initiatives to promote access to art education resources, such as our Art Box Campaign and our free book of art lesson plans, Creating Legacies Through Art. ASI hosted an art workshop supporting literacy and families with preschool through kindergarten-age children, at the Mabel Morris Family Home Visiting Program on Friday, September 16th. We developed a “back to school” theme with a number of different stations set up to educate children and parents about nutrition, pedestrian safety, fitness, early development, and sleep cycles. We also talked to parents and children about how important art and creative thinking is in our lives and especially in a child’s intellectual development. 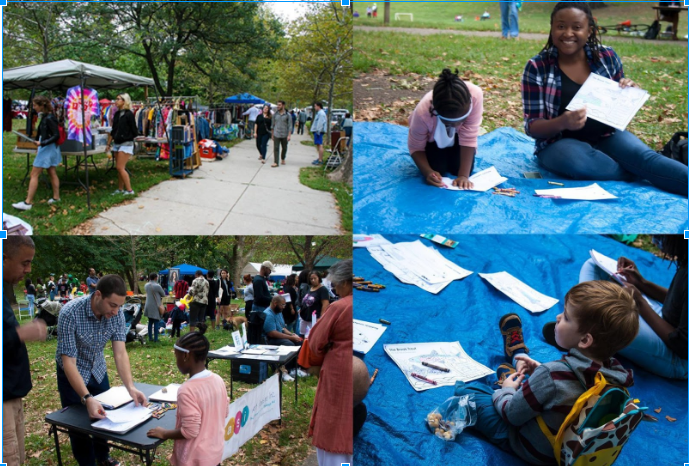 On September 24th Art Sphere hosted a crafts table at the annual Uhuru Book Fair & Flea Market in Clark Park (43rd and Chester Avenue). Children and families of all ages attended and worked on make-and-take art projects! 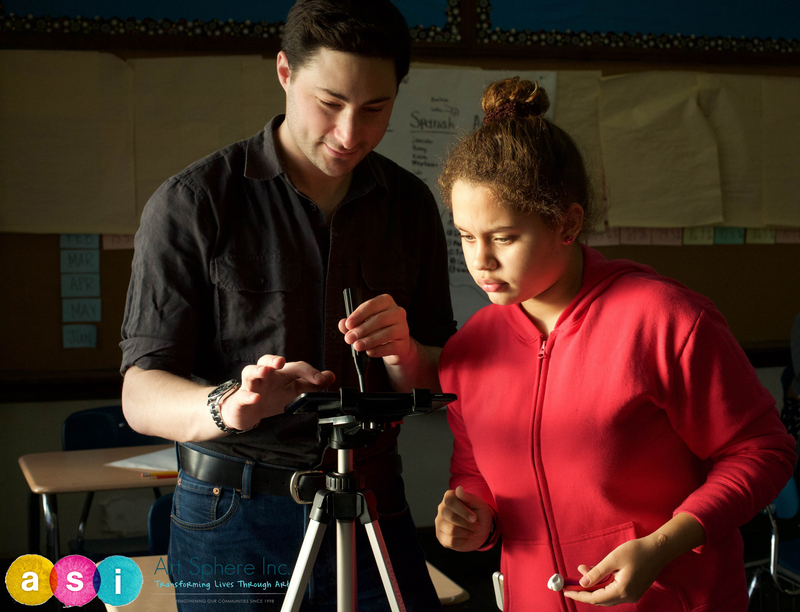 This fall ASI kicked off the new ten-week Claymation course for middle and high school students. In this class students explore writing their own stories, using story-boards, stop-motion animation techniques, clay manipulation, and sound and video editing. Check out our last year’s students’ videos. In August, ASI hosted four Art Shows featuring the work of preschool students from our 10-week workshop Summer Programs at Fishtown Recreation Center, Towey Recreation Center, and with Shissler Recreation Center’s elementary and preschool summer programs. ASI will work with students from Penn Treaty Middle and High School to design and paint a new mural around the cafeteria entrance featuring native Pennsylvania fish to bring nature to the school environment, promote environmentalism and instill pride for the Fishtown neighborhood. This year we will build on previous murals and the school pride bulletin board that we started last year, with images of wolves in honor of their school mascot, the Penn Treaty Wolves. 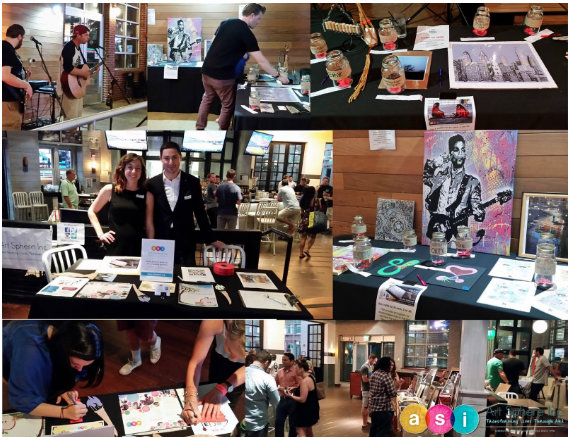 1100 Social had an art benefit event called “Social Art” on Thursday August 25th at the Xfinity Live Center. This event showcased local artists while providing great dinner specials. All of the local artists donated artwork which was sold in a raffle, with 100% of ticket sales going directly to support the purchase of art materials for low-income youth in our programs. Thank you to everyone who attended and donated, and thank you especially to Caitlin Nichols at 1100 Social for the opportunity and support! 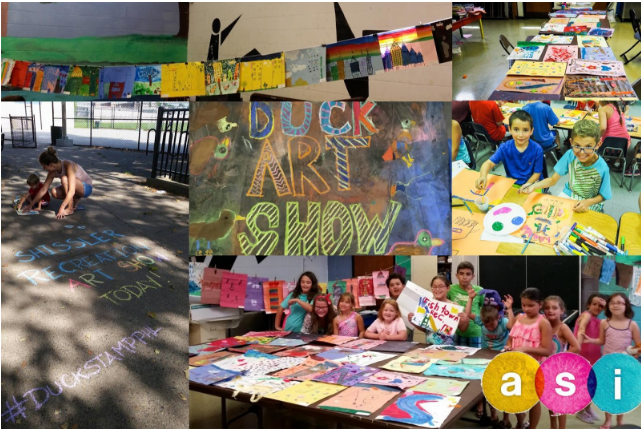 ASI participated in several events at John Heinz National Wildlife Refuge this year, including the Junior Duck Stamp Competition, Migratory Bird Day, Family Fishing Day, and Philly Fall Fest. 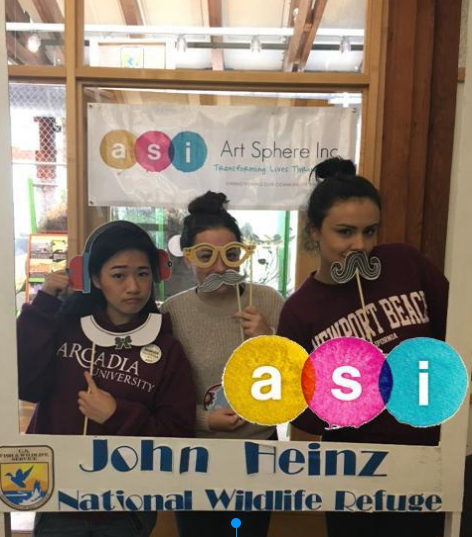 At each event, volunteers from ASI spent the day hosting an arts and crafts table to engage refuge visitors with nature-themed projects, while distributing links to our free book of art lesson plans to promote art-making at home. 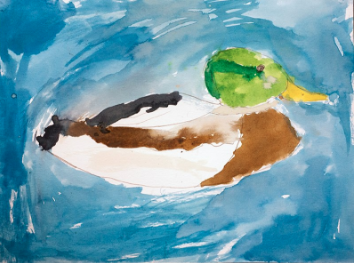 This summer we were excited to collaborate to support the Federal and Junior Duck Stamp Program, which raises money for conserving habitats for birds and wildlife. It is a great art competition opportunity, and more information can be found here. In partnership with John Heinz National Wildlife Refuge, ASI incorporated additional art workshops in our summer program to introduce students to nature through art. 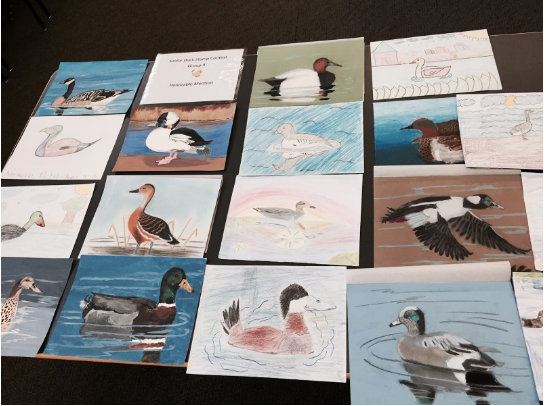 Our student paintings of ducks were turned into stickers which went on display at the Academy of Natural Sciences as part of the Federal Duck Stamp Competition on September 9 and 10. 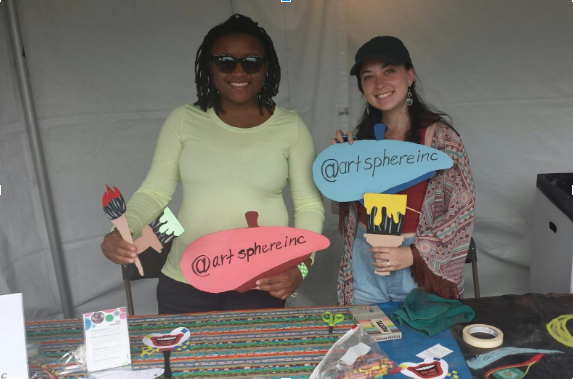 On Saturday, October 1, Art Sphere joined the John Heinz National Wildlife Refuge at Tinicum for a festival welcoming autumn. 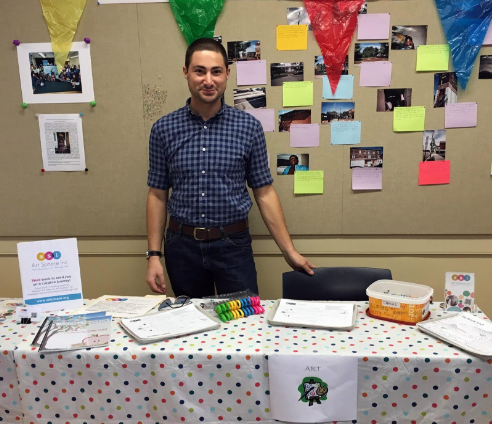 Seven ASI volunteers engaged the public to celebrate fall and promote the arts through creating chalk murals, coloring projects and a photo booth. 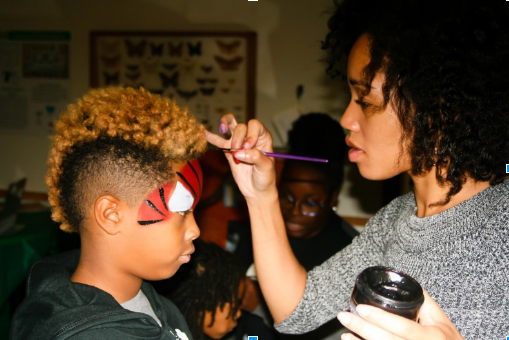 Free face painting was provided by our talented new volunteer Latonia. On Saturday, July 16, 2016 Art Sphere Inc. joined staff and volunteers at John Heinz National Wildlife Refuge at Tinicum (America’s First Urban Refuge) at the Group Fishing Area to catch fish! Participants met a fish biologist, took a casting workshop with L.L.Bean, Friends of Heinz Refuge at Tinicum, Darby Creek Valley Association, Pennsylvania Sea Grant, Audubon Pennsylvania in Philadelphia, and Commission who all made art projects with ASI. 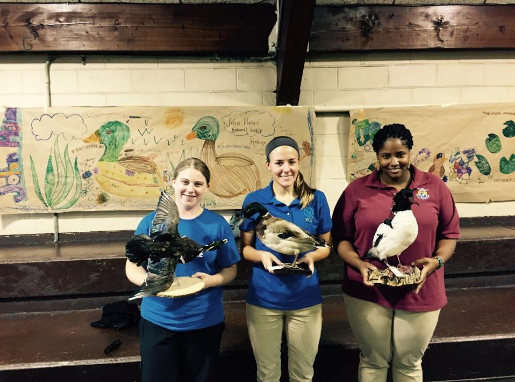 On July 25, 2016 Art Sphere, Inc. students from Towey Recreation Center learned about ducks, migratory birds, anatomy, and habitat conservation with educators‬ from John Heinz National Wildlife Refuge at Tinicum! 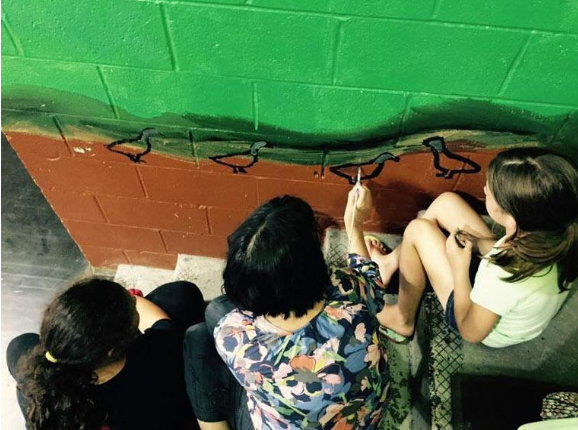 To support this program and to revitalize the space of the recreation center, we taught students to paint a duck habitat mural. Reporters‬ from PBS Student Reporting Labs came to talk to students‬, volunteers‬, and educators from ASI and John Heinz National Wildlife Refuge, ‬about our partnerships‬ promoting accessible‬ art and nature education. 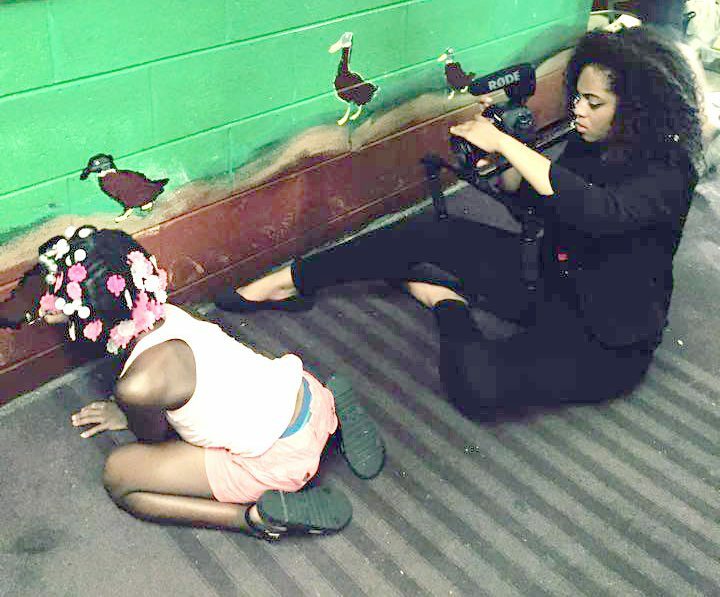 TEACHERS: we are also looking for volunteers to assist with teaching our spring art programs for youth, photography, office work, and graphic design. Interested in volunteering? Contact info@artsphere.org to get involved. Learn more. 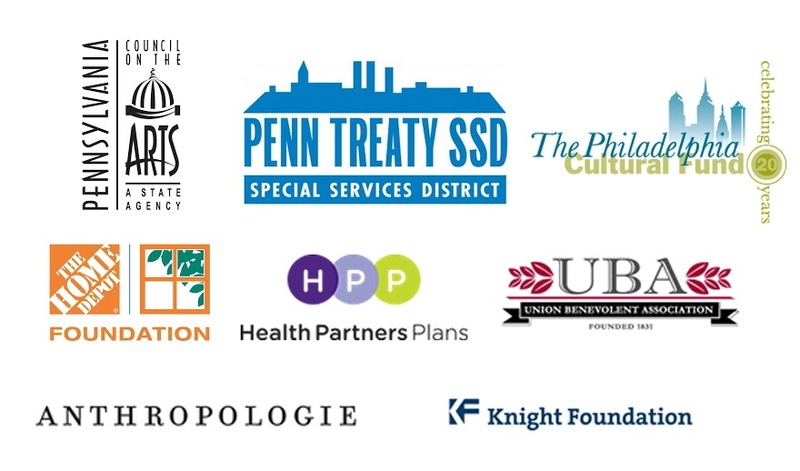 Thank you to our board members, our sponsors, our partners, and especially our volunteers! And thank you for the support of our work! Please share our message and our mission of creating social change through art on social media. Stay tuned for updates from our 10-week fall art programs!